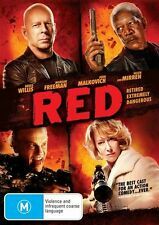 Program Chief Nick Kudrow (Alec Baldwin) orders the "security threat" eliminated, but Kudrow hasn't counted on Jeffries getting involved. As they are trailed by deadly assassins, Jeffries quickly realizes that no one can be trusted. Look Who's Talking Look Who's Talking Too Look Who's Talking Now Whos New DVD Box Set. A triple bill of the 'Look Who's Talking' films. In 'Look Who's Talking' (1989), Mollie (Kirstie Alley) is pregnant by Albert (George Segal), a married man who won't leave his wife. DIE HARD - SPECIAL EDITION - BRUCE WILLIS (2 DISC). WE ARE ALWAYS MORE THAN HAPPY TO RESOLVE ANY ISSUES OR CONCERNS THAT YOU MAY HAVE. Unbreakable - Bruce Willis, Samuel L. Jackson - Thriller Movie DVD R4 New! Bruce Willis and Samuel L. Jackson star in a mind-shattering, suspense-filled thriller that stays with you long after the end of this riveting supernatural film. Starring Spencer Treat Clark, Robin Wright Penn, Samuel L. Jackson, Bruce Willis. 5 out of 5 stars - Unbreakable - Bruce Willis, Samuel L. Jackson - Thriller Movie DVD R4 New! 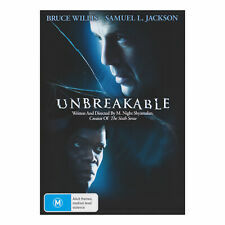 2 product ratings2 product ratings - Unbreakable - Bruce Willis, Samuel L. Jackson - Thriller Movie DVD R4 New! Many of my movies are rare or hard to find. REGION 3 -- S.Korea, Taiwan, Hong Kong, Parts of South East Asia. REGION 1 -- USA, Canada. REGION 6 -- China. REGION 7 -- Reserved for Unspecified Special Use. Fury and fate collide in the intense action-thriller Death Wish. Death Wish. Hello and welcome to my online store Today on offer Last Man Standing DVD may have a mark or some light scratches but it's excellent working condition please enlarge photos for a closer look Please See My Other Items For more DVD's. The Bombing. When the Japanese Imperial Army invades China during the second great war, the Chinese Air Force are grievously out-manned and out-gunned. With their city under siege and enemy spies trying to steal a top-secret decoding device, two Chongqing families must resolve a one-hundred-year feud in their struggle to survive the relentless onslaught of air-raids and bombs. Bruce Willis (Die Hard) is Venice Beach P.I. Steve Ford: a detective who’s good with the ladies, bad with the punches, and wild about his dog, Buddy. Teaming up with his best friend (John Goodman, The Big Lebowski), Steve pulls out the big guns in search of Spyder’s stolen cocaine and cash in order to set things straight and get Buddy back where he belongs. CAST : BRUCE WILLIS. WILL NOT PLAY IN YOUR MACHINE UNLESS IS MULTIZONE. RADHA MITCHELL. FORMAT : WIDESCREEN. Trending at AU $9.92eBay determines this price through a machine-learned model of the product's sale prices within the last 90 days. 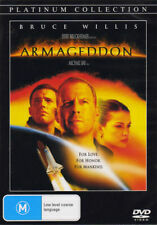 Up for grabs, Tears Of The Sun (Bruce Willis) Extended Edition (Australia Region 4) DVD - NEW. DCI Banks: S4 Series / Season 4 DVD R4. Emperor DVD R4. Bullet DVD R4. Bloodsport DVD R4. Everybody Loves Raymond : Season 4 (DVD, 2006, 5-Disc Set) R4. We source our products from major mainstream Australian distributors, taking care to bring you the most popular toys, movie titles and latest releases. 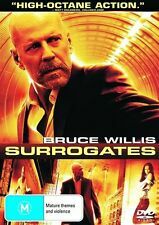 PRECIOUS CARGO ( 2016 , DVD REGION 4 ) BRUCE WILLIS ~ DISC LIKE NEW ! 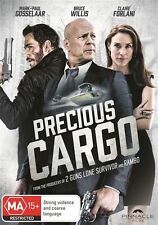 PRECIOUS CARGO ( 2016, DVD REGION 4 ) BRUCE WILLIS. REGION 4, AUSTRALIAN RELEASE. ~ DISC IN LIKE NEW CONDITION. Complete Seasons 1 & 2 - 5 Disc Set. Actual cover scan shown. Excellent clean condition. Fire With Fire. This is an AUTHENTIC STUDIO RELEASE and is Dual Region Coded 2 & 4. Plays on any DVD player in Australia & New Zealand. Starman_dvds specialises in Rare & Imported DVD's/CD's. Trending at AU $13.75eBay determines this price through a machine-learned model of the product's sale prices within the last 90 days. Hello and welcome to my online store Today on offer THE WRONG MAN - DVD Brand New & Sealed please enlarge photos for a closer look Please See My Other Items For more DVD's. Thinking he's a hallucination, Russ does everything he can to make him go away. REGION 4 (PAL) DVD for Australia players only. This DVD might not play in USA/Canada. a legitimate supplier. Looper Blu Ray Double Play Brand New & Sealed, Region B Australian Will be sent quickly in a padded bubble wrap parcel. Local pickup also available. For multiple items please message me for a combined shipping discount. A mind-shattering, suspense-filled thriller that stays with you long after the end of this riveting supernatural film. The DVD is in VERY GOOD CONDITION. Your DVD's & Blu Rays are always handled with care. Die Hard (Definitive Edition). But one man has managed to escape detection.an off-duty cop. He's alone.tired.and the only chance anyone has. A crackling thriller from beginning to end, DIE HARD explodes with heartstopping suspense. Unless otherwise specified DVD and Blu-ray discs sold are designed for use in Australian and New Zealand systems. DVD discs are Region 4, PAL format. Blu-ray discs are Zone B, PAL format. Region Compatibility. Trending at AU $11.24eBay determines this price through a machine-learned model of the product's sale prices within the last 90 days. Walker Texas Ranger: Season 6 DVD R4. The Lovers (2017) DVD R4. We source our products from major mainstream Australian distributors, taking care to bring you the most popular toys, movie titles and latest releases. 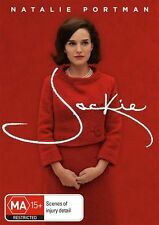 (2013 DVD MOVIE). The DVD for this item is in VERY GOOD condition. Marks on DVD due to general handling and usage. Trending at AU $4.82eBay determines this price through a machine-learned model of the product's sale prices within the last 90 days. DVD, HOLOGRAM / LENTICULAR COVER . DIE HARD 4.0- BRUCE WILLIS - 2 DISC SET DVD REGION 4. REGION: [ R4 ], REGION 4, AUSTRALIA RELEASE. 2 DISC: EXCELLENT. 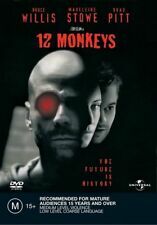 (DVD, R18 ). COLOR OF NIGHT - DIRECTOR'S CUT - BRUCE WILLIS JANE MARCH. When the going gets tough, they get tougher. And funnier. And to settle a score in this raging fireball where bigger is better, hits are harder and bad guys end up deader. The goal is to survive. The Last Boy Scout. 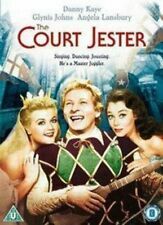 Hello and welcome to my online store Today on offer Mercury Rising - DVD Brand new & Sealed please enlarge photos for a closer look Please See My Other Items For more DVD's. If the DVD is from another region, it will be clearly advised above on the first line and in the Title Bar. I.e. Region 1 or Region 2. Are We There Yet?. (DVD, 2005) Ice Cube, Nia Long. Sorry for the inconvenience. This DVD is in "Very Good" condition. The Vampire Diaries: S7 Series / Season 7 DVD R4. The Sopranos S3 Series / Season 3 DVD R4. Blue Murder - Ultimate Edition DVD R4. We source our products from major mainstream Australian distributors, taking care to bring you the most popular toys, movie titles and latest releases. THIS ITEM IS AN EXCELLENT WORKING CONDITION. DVD format PAL. New and sealed. Acts Of Violence. 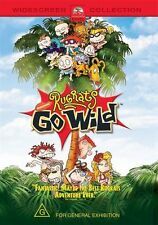 Region 4 DVD. DVD Is Used. DVD Does work. DVD In Good Used Condition. DVD Sent in Padded envelope. Bubble wrap placed in DVD Case for transport. 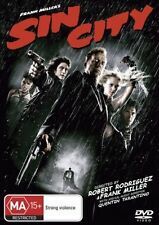 The Kid - Bruce Willis DVD R4 New!